England will be looking to avenge their World Cup semi-final defeat on Friday night as they travel to Rijeka to face Croatia in the UEFA Nations League. The Three Lions come into the game off the back of their first victory in three games with a 1-0 win over Switzerland at the King Power Stadium. 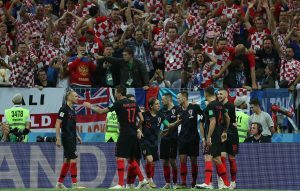 Gareth Southgate’s men had previously suffered defeats to Belgium, Spain and of course Croatia. They can be backed at 17/10 with Paddy Power to make it back-to-back wins for the first time since the World Cup. Elsewhere, Zlatko Dalic’s troops have found it tough since returning from Russia. Following a 1-1 draw with reigning European champions Portugal upon their return, they suffered a 6-0 hammering at the hands of Spain. Croatia have odds of 13/8 to pick up victory on home soil, meaning they are slight favourites. Elsewhere, a draw can be backed at 21/10. One aspect that both outfits have in common is a relative porous defence in recent matches. During their last 12 games, the Three Lions have only kept three clean sheets and they came against the likes of Costa Rica, Sweden and Switzerland. Meanwhile, the hosts have shipped 17 goals in their last ten matches. As a matter of fact, they have not managed to keep a single clean sheet in their last seven competitive games. Both teams to score can be backed at odds of 1/1 with William Hill. Consequently, it is those finding the back of the net that could be crucial in the clash in Rijeka. Harry Kane has not found the net in his last five appearances for the Three Lions. Despite that, the Tottenham Hotspur man is one of the favourites to open the scoring with odds of 13/2 with BetVictor. Kieran Trippier, the scorer of the opening goal in the World Cup semi-final clash between the two, has odds of 30/1 with Paddy Power. Meanwhile, Ivan Santini, who has scored eight goals in nine games with Anderlecht this season, is the most popular to open the scoring from the perspective of the hosts. He has odds of 6/1. Both sides have a few injury worries to contend with for the game. Luke Shaw has been forced to withdraw through injury, as well as James Tarkowski. The duo have been replaced by Ben Chilwell and Lewis Dunk. Dele Alli, Jesse Lingard, Danny Rose and Alex McCarthy are unavailable but youngsters James Maddison, Jadon Sancho, Mason Mount and Nathaniel Chalobah have all been handed a place in the senior squad. For Croatia, Inter Milan duo Marcelo Brozovic and Sime Vrsaljko have both had to withdraw from the squad due to injuries and have been replaced by Karlo Bartolec and Simon Sluga respectively.